Virgin Media has announced that it's going to build on its existing relationship with the Carphone Warehouse by expanding its in-store range to include broadband, digital TV, home phone and mobile services. Starting today, you'll be able to walk into any Carphone Warehouse store and sign up to a range of Virgin Media services. A new dedicated broadband and digital services area in over 700 stores will showcase Virgin Media's portfolio of products, offering you a "one-stop-shop for all your communications needs". 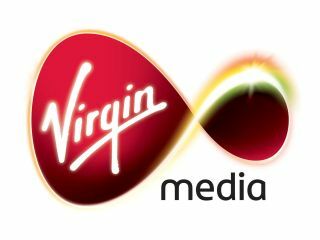 Virgin Media services are already available to buy through outlets such as Virgin Media standalone stores and Virgin Megastores. Neil Berkett, acting CEO at Virgin Media, said: "We're building on an already successful relationship and using our mobile retail expertise to expand our presence on the high street. "By extending our product portfolio in store and making it simple and easy for customers to sign up, we're hoping Virgin Media will be at the top of shopping lists across the UK." "We've built the business on impartial advice and we're first to claim that position in broadband," said Charles Dunstone, CEO of The Carphone Warehouse. "Consumers have had incredible choice in the broadband market but it's been matched by the levels of confusion. We can now advise on the right service for the individual, whatever the circumstance."